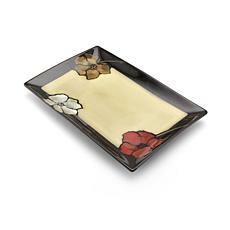 Enliven any dinner table with this bold and vibrant print. An earthy beige is the backdrop for large, colorful painted poppies, creating a look that is whimsical yet sophisticated. 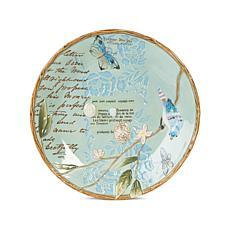 Sculpted floral accents and bits of text add an antique flavor to this decorative round platter. 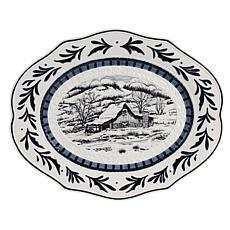 Perfect as a serving tray for meals or buffets, the birds, butterflies and blue background add a breath of the outdoors to your serving dishes and home decor.